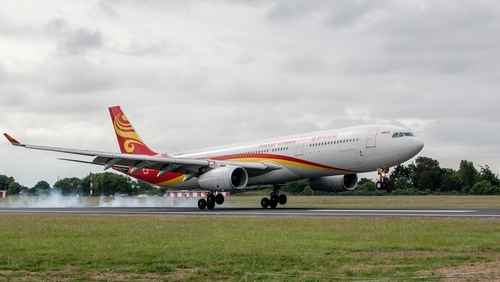 Hainan Airlines is to launch a new all year-round direct service from Dublin to Shenzhen in China later this month. Hainan will operate two flights per week between Dublin and Shenzhen, which is in south-eastern China and is known as China's answer to Silicon Valley. Shenzhen will be Dublin Airport's second destination in mainland China, as Hainan already operates a Dublin-Beijing service. Hainan will operate its new Shenzhen route with a Boeing 787-900 Dreamliner and the new route will operate on Mondays and Fridays from February 25. The new Shenzhen service is one of 20 new routes at Dublin Airport for this year, which serviced 31.5 million passengers last year - a 6% increase on the previous 12 months. Meanwhile, Hainan's existing Dublin-Beijing service, which is currently operates twice a week, will return to four times weekly for the summer season. Vincent Harrison, Dublin Airport's Managing Director Vincent Harrison, said the new route will further increase trade, tourism and investment between Ireland and China. "We have worked closely with Hainan to establish this new route to Shenzhen, and over the coming weeks and months we and other stakeholders will be continuing to help them to promote this new service,' Mr Harrison said.